I am thrilled to be interviewing my long term mentor coaching client Michael Goodboe! I want to highlight his path to becoming a full time coach, the ups, downs and realities along the way so you can better understand your journey through his and realize it is possible! 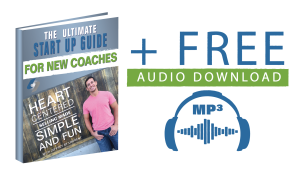 It’s a FREE Audio download with resource guide for new coaches serious about creating a full time, profitable business.